As one of two advisors to Concord Academy Students in Action (CASA), a student club for community service, I recently had the pleasure of traveling to Dorchester, Massachusetts to deliver 37 fleece blankets made by the students for the Brookview House, a community setting serving homeless mothers and children. 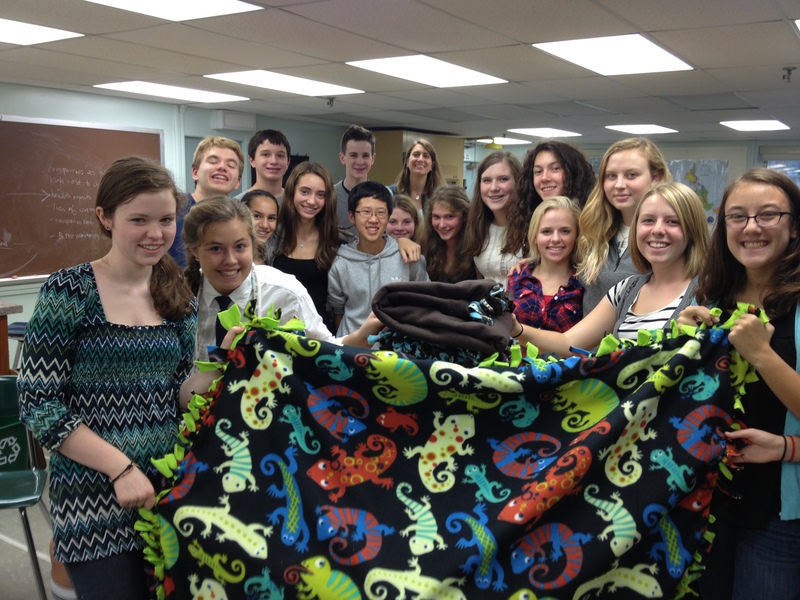 Concord Academy Students in Action (CASA) members with fleece blankets for homeless mothers and children. Since September of 2012, CASA has been busy with organizing bake sales, fundraising for the critically ill and more recently making fleece blankets. CASA students met for approximately an hour a week to execute these initiatives with energy and enthusiasm. 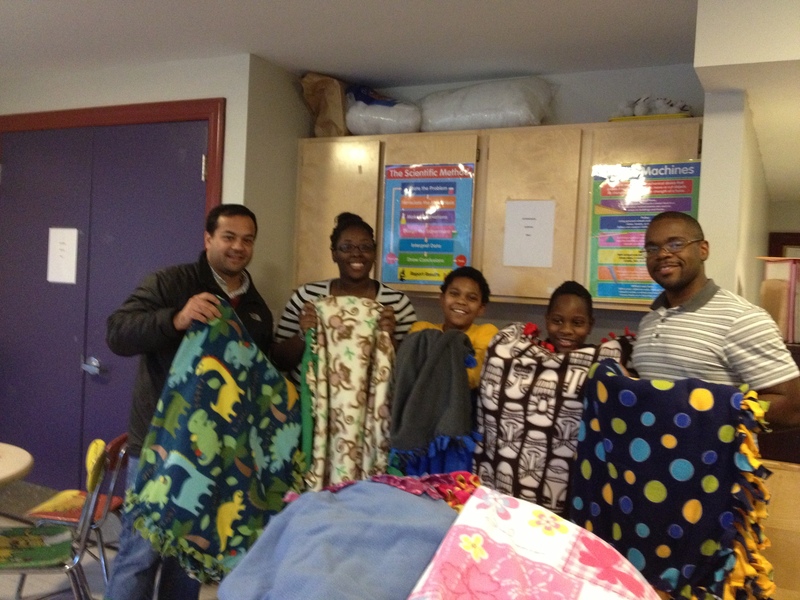 Donating Fleece Blankets to Brookview House in Dorchester, MA. 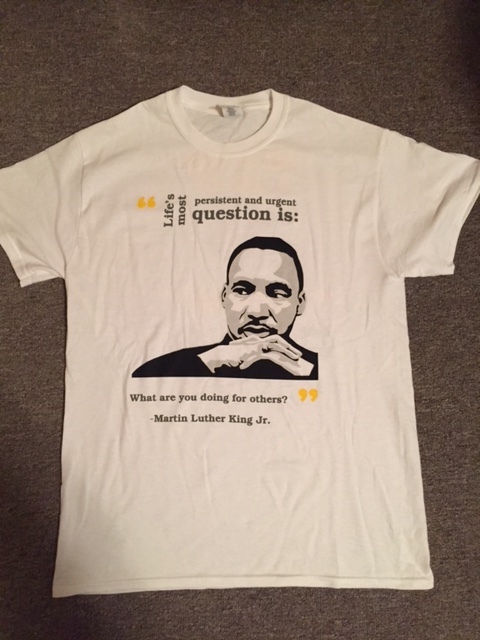 It was a team effort, with my colleague Susan Flink, an experienced biology teacher who led Concord Academy students to quickly mobilize themselves to rally for a good cause. The all round feel good factor for these student-projects raises morale and builds character. Stay tuned to learn about more CASA projects in 2013. Happy Holidays everyone!